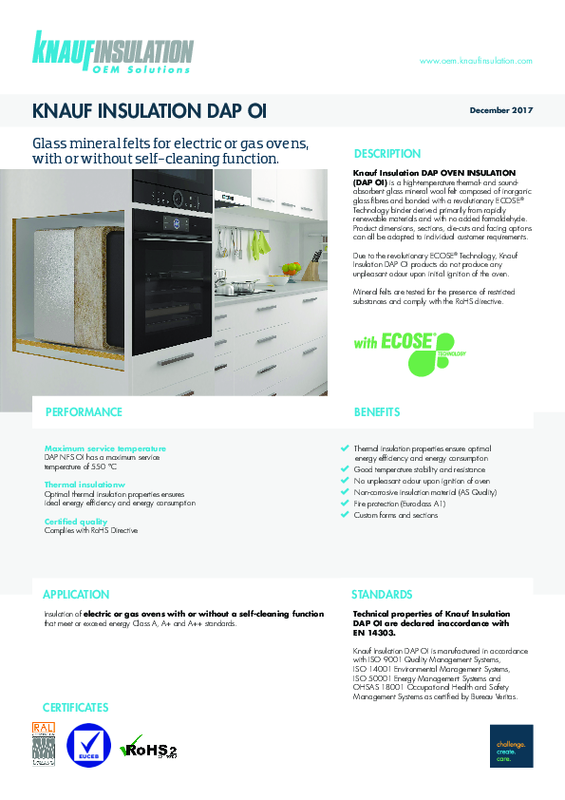 Knauf Insulation DAP OVER INSULATION (DAP OI) - Glass mineral felts for electric or gas ovens, with or without self-cleaning function. Knauf Insulation DAP OVEN INSULATION (DAP OI) is a high-temperature thermal- and soundabsorbent glass mineral wool felt composed of inorganic glass fibres and bonded with a revolutionary ECOSE® Technology binder derived primarily from rapidly renewable materials and with no added formaldehyde. Product dimensions, sections, die-cuts and facing options can all be adapted to individual customer requirements. Due to the revolutionary ECOSE® Technology, Knauf Insulation DAP OI products do not produce any unpleasant odour upon initial ignition of the oven. 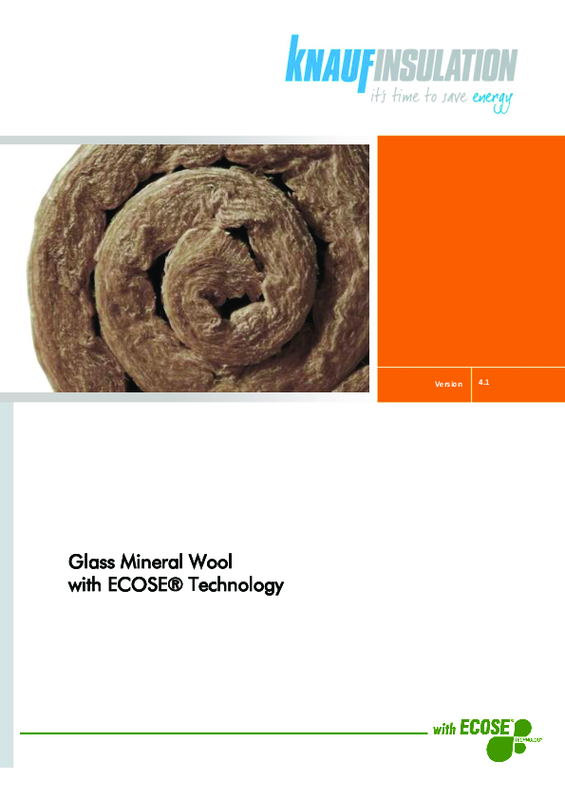 Mineral felts are tested for the presence of restricted substances and comply with the RoHS directive. Insulation of electric or gas ovens with or without a self-cleaning function that meet or exceed energy Class A, A+ and A++ standards.